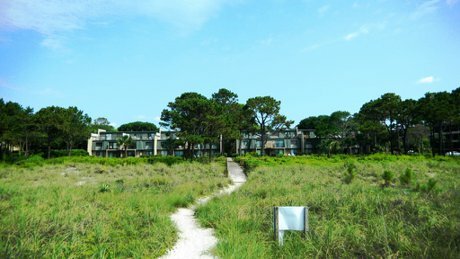 Ocean Club Villas Hilton Head are an excellent value for oceanfront condos on Forest Beach. The two-bedroom townhome is 1,300 square feet and just off the ocean in a courtyard around a pool. The three-bedroom townhomes are directly oceanfront and are 1,864 square feet. There is an electronic access gate for resident comfort and security.